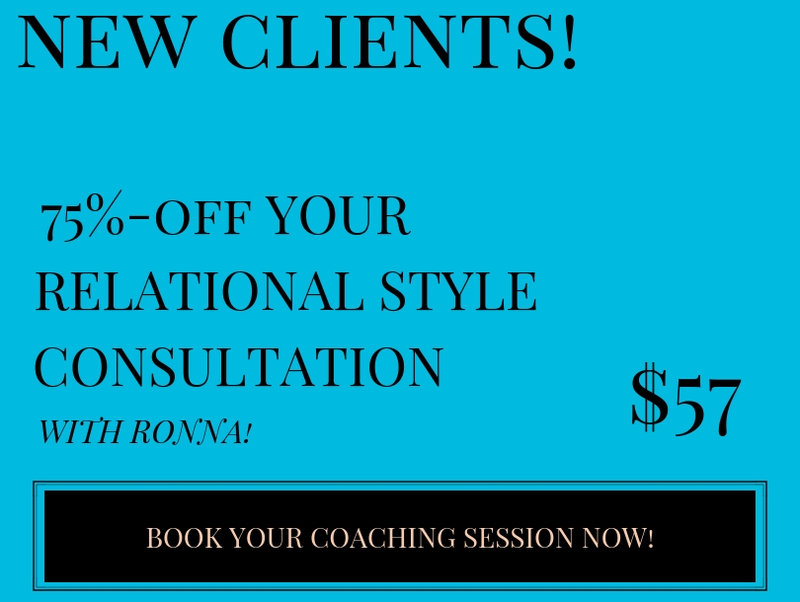 PACKAGE INCLUDES: Enneagram/MBTI Relational Style Assessments; 90-min Coaching Session & Intake, with Ronna Phifer-Ritchie, PhD (Office Session at our Los Gatos Campus); PLUS a FULL Enneagram Personality Type RHETI Profile! And just for fun: a 1-Day Guest Pass to the Bay Club Campus of Your Choice! 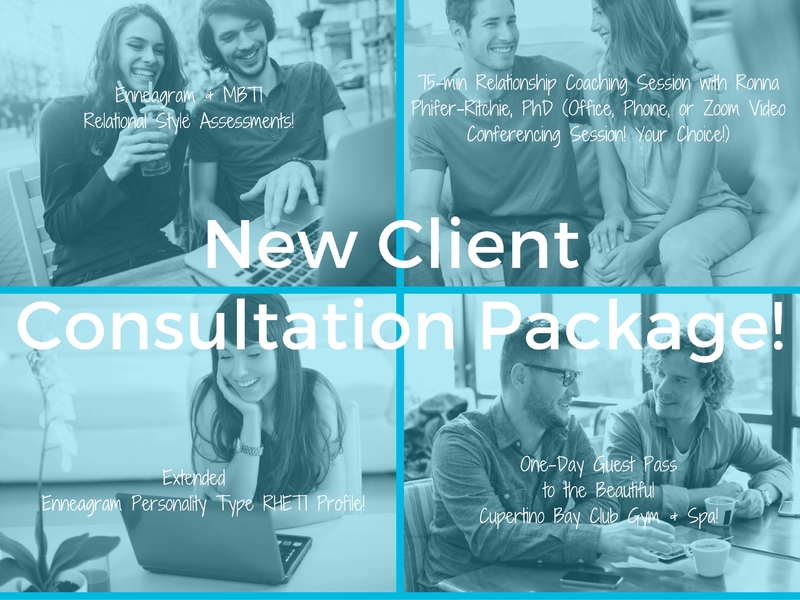 PACKAGE INCLUDES: Enneagram/MBTI Relational Style Assessments; 90-min Relationship Coaching Session & Intake, with Ronna Phifer-Ritchie, PhD (Phone Session); PLUS a FULL Enneagram Personality Type RHETI Profile! And just for fun: a 1-Day Guest Pass to the Bay Club Campus of Your Choice!